EL CENTRO | An F/A-18 Hornet of the Blue Angels landed with its main gear partially retracted after a training flight on Tuesday 22nd January 2019. The pilot, who has not been named, was unable to extend the jet’s main landing gear and was forced to make an emergency landing. He was not injured in the incident. 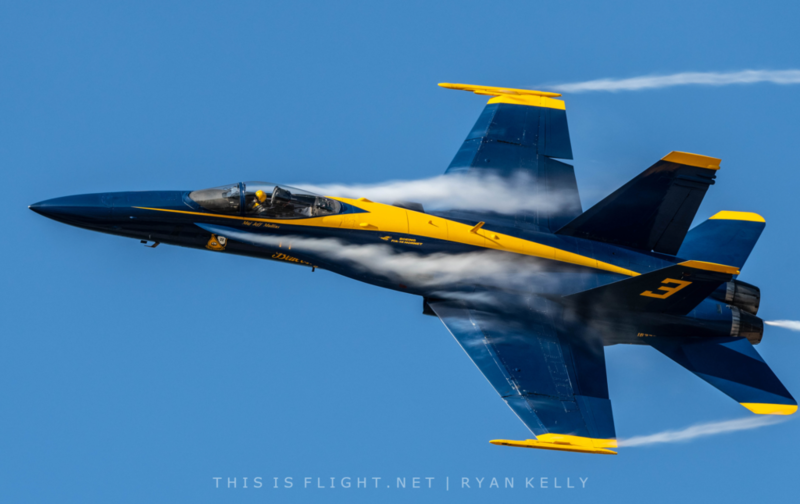 The Blue Angels are currently operating from El Centro while they train intensively for the 2019 airshow season, which starts in March. The accident occurred just three days after they completed their first full training flight of the year. This entry was posted in Airshow News America, Airshow News Military on January 22, 2019 by Adam L..